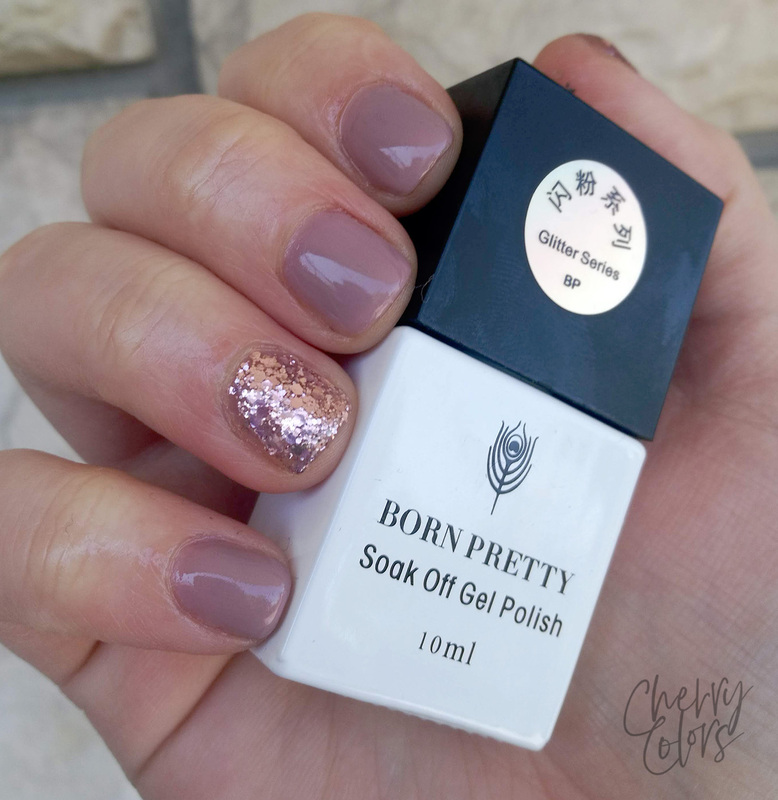 BORN PRETTY Pink Glitter Gel - Cherry Colors - Cosmetics Heaven! I am a fan of gel polishes since I first started doing them myself. 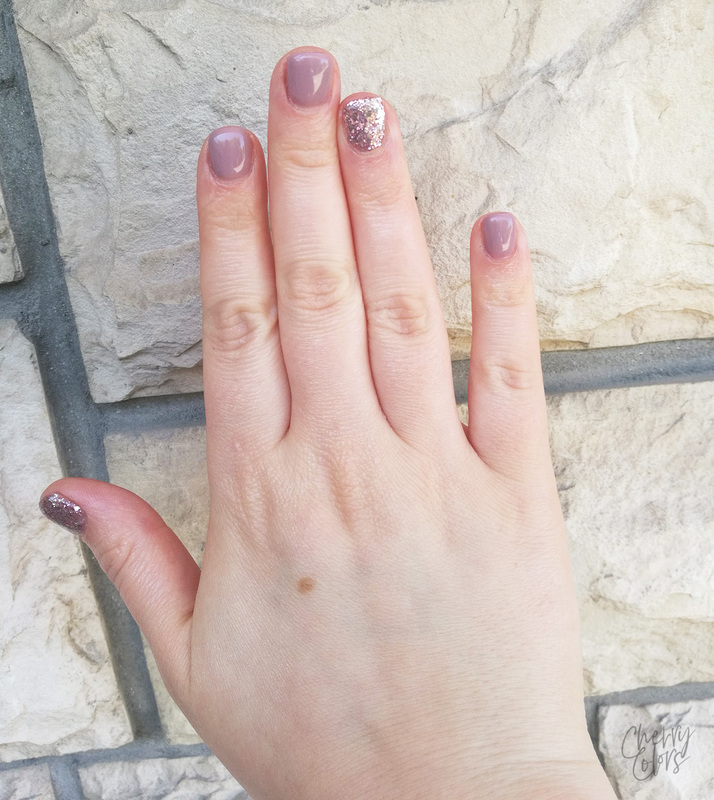 And since my collection is mostly made of cream gel polishes I got pretty excited to try this rosegold glitter gel. 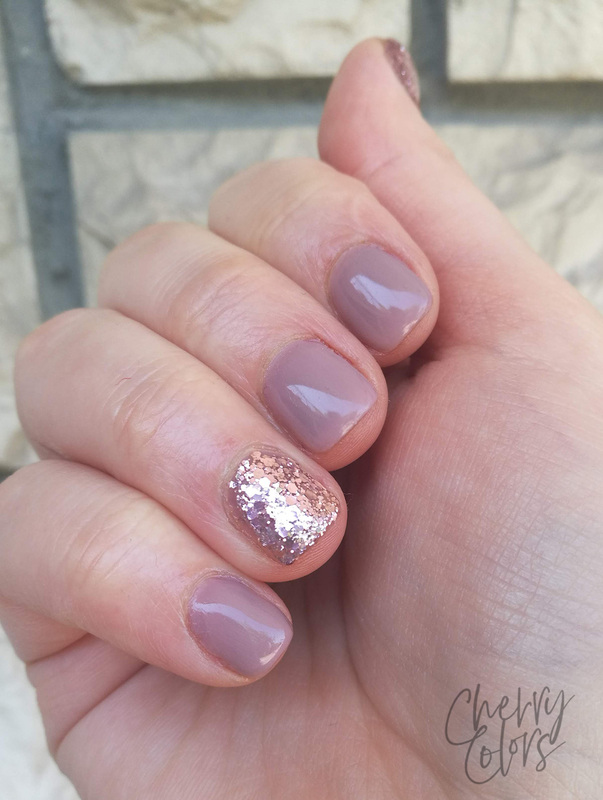 Since I was looking to do a more work-appropriate manicure, I used the glittery gel on my accent nails. Well, the description on their site doesn't say anything about the gel, but then again all I wanted to know was if it's LED light compatibile. And well, yes, it is! I used three thin layers to get full opacity. I had to place the glitters near the cuticle as the brush moved them further on my nail. The overally manicure didn't look of feel thick. It was comfortable and fairly thin. I really loved how shiny this was! I think that next time I'll do my whole manicure with just the glitter gel polish and sparkle on! Because it's a gelish nail polish I didn't get any chipping. 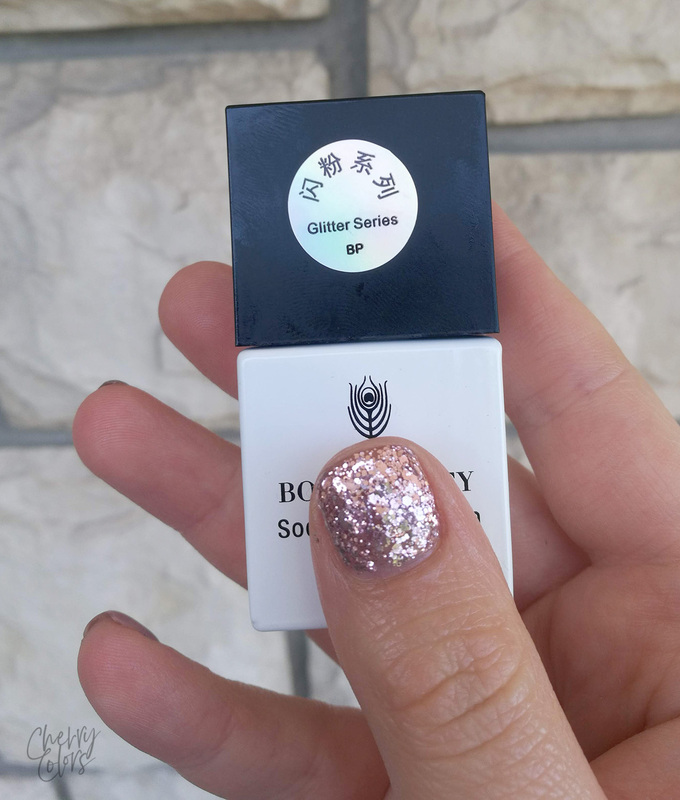 You can get it for less than $5 for 10ml which is a pretty fair price for gel polishes.